Last night, the GOP scored greater than anticipated gains, won Senate control 52-45 and has a more powerful grasp on the House with at least 242 seats, a historic majority. At this writing some results are still pending. 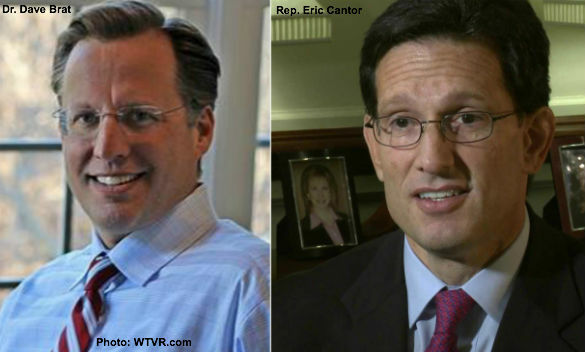 House Majority Leader Eric Cantor (R-Va.) lost his seat in Congress on June 10, 2014, to economics professor Dave Brat. This is the first time since 1899 that a sitting House majority leader has been ousted. It is a monumental event. For a statement that was originally “off the record,” President Obama’s promise to the Des Moines Register turned out to serious have legs. Earlier this week, the CAPS homepage led with a feature story published by USA Today that quoted Obama as pledging to the Register that during his second term, the GOP will back his plan for comprehensive immigration reform. I’ve been searching for the right word to describe President Obama’s set in stone policy to give work permits to an average 75,000 legal immigrants each month and, at the same time, undertake a personal campaign to give legal status and still more work permits to as many as 1.8 million aliens. Each of those newly minted immigrant workers compete in the job market with unemployed and/or underemployed Americans. During the hours leading up to Debate I between President Barack Obama and Mitt Romney, I made the conscious decision not to watch. I’ve been paying close attention to presidential politics since 1960 when John F. Kennedy narrowly defeated Richard Nixon in the first ever televised debate. A recent CAPS homepage feature story revealed that in August five of the 10 states considered pivotal in the U.S. presidential election lost jobs. Unemployment increased in Iowa, Nevada, New Hampshire, North Carolina and Wisconsin. In the other five crucial states---Ohio, Colorado, New Mexico, Florida and Virginia, the unemployment statistics either remained unchanged or increased fractionally. The ten states represent 115 electoral votes. French President Nicolas Sarkozy Speaks the Truth about Immigration: France Has "Too Many Foreigners"
France’s incumbent president Nicolas Sarkozy has made tough new immigration regulations the cornerstone of his re-election campaign. Interestingly, Sarkozy trails socialist candidate Francois Hollande in the polls so he must view restricting immigration as a platform that could pay off not only socially but also politically. Read more about French President Nicolas Sarkozy Speaks the Truth about Immigration: France Has "Too Many Foreigners"
Given that last night’s Republican Party debate was held in Arizona, America’s hottest immigration flashpoint, the results were pretty tame. Maybe the debate proved that when the subject is immigration, candidates tread cautiously. Or perhaps despite months of high unemployment, politicians still don’t understand the adverse relationship between American job loss and over-immigration. The common theme that runs through virtually every political campaign of nearly every candidate for public office on every level of government is the promise to create new jobs.